Breathtaking Machu Picchu in Peru. 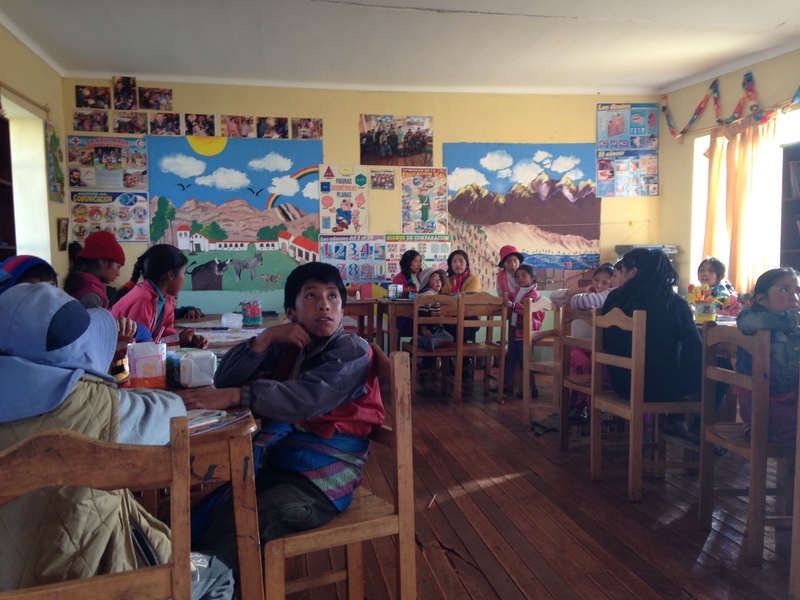 Visit Inca children at an after school program in Peru. Little boy watches his siblings at the after school program in Peru. 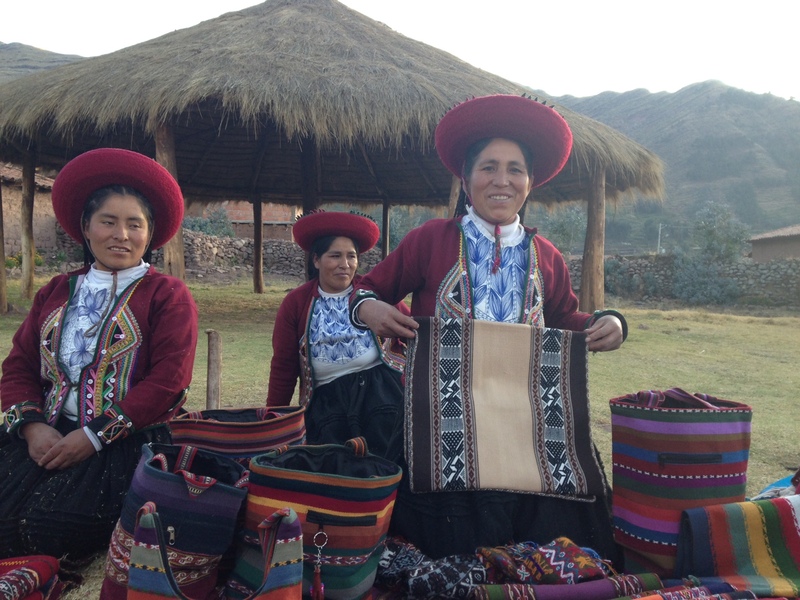 Inca weavers are justly proud of their wares. 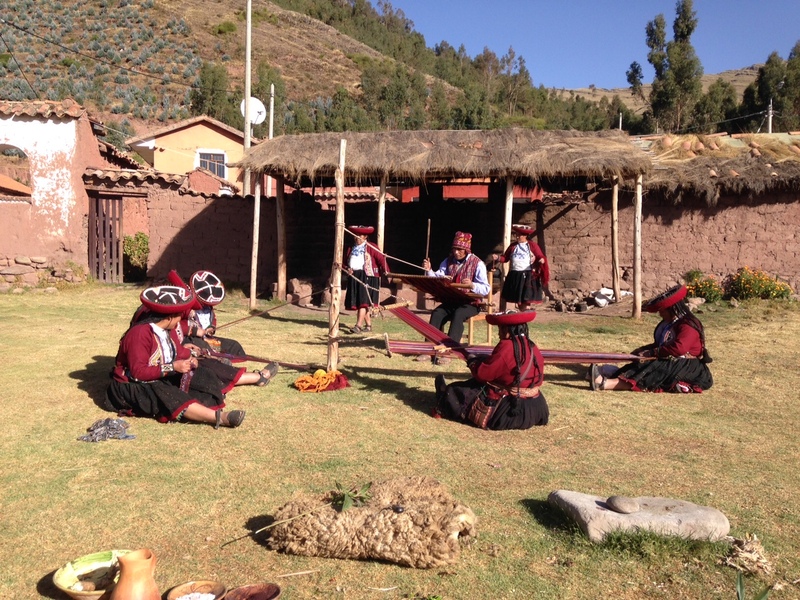 Weaving is an important practical and social activity among the Incas. Andean weavers are widely respected for their handiwork and, in the rural Peruvian highland villages we explored around Cusco, the woven textile tradition remains much as it has for centuries. 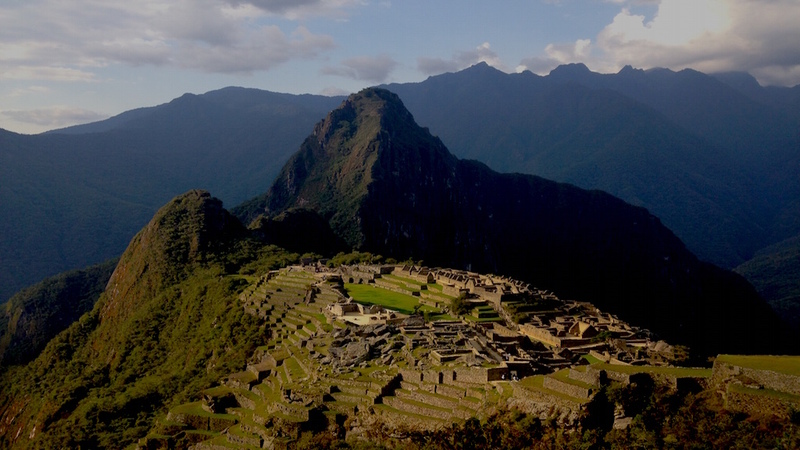 Time seems to have stood still in most of the Inca heartland. We were astonished to find that many of the traditional ways of life, including the Quechua language and the mode of dress, are still intact. Immersive travel experiences such as these are a compelling reason for families to venture far from home. With 21st century development inching closer, preserving ancestral crafts such as weaving takes on heightened relevance for locals and greater value for visitors. Aside from its functional uses, weaving provides the Inca a sense of community, continuity and connection to the past. For travelers, it provides much more. 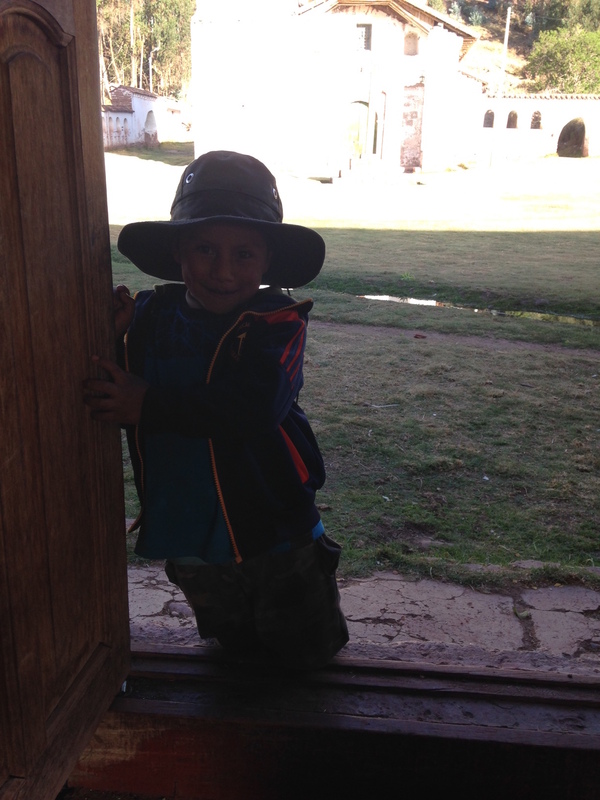 During a recent trip to the Sacred Valley, I had the opportunity to witness the rural Peruvian lifestyle up-close. This was possible with the help of Kuoda Travel, a boutique tour company, owned and operated by a Peruvian Woman, Mery Calderon. This pioneering mother of two young children knows what it takes to plan a memorable family vacation in her homeland. She aims to give clients travel experiences that are tailored to meet their specific interests and authentic to the destination. Kuoda works under the premise that visitors to Peru should be treated as individuals. Before our trip began, I spoke with our point person, called a travel designer, numerous times. She understood what we wanted out of our trip to Peru was immersive, interpersonal experiences. The villagers were traditionally dressed, the women’s long black hair hung in precise plaits. They were shy yet hospitable, humble yet proud to show us just how much effort and energy goes into the intricate process of creating their boldly beautiful textiles. They introduced themselves and told us their ages. Despite their deep wrinkles, most of them are only in their 30’s. They work in the open air, their skin leathery from the proximity to the harsh sun that high altitude exposes them to. To call what I glimpsed radically different from my own lifestyle in New York City would be a serious understatement. For generations, weavers have passed stories and local folklore down through spinning colorful cloth designs that are unique to their village. Their distinct heritage is conveyed using the same motifs and patterns their ancestors did. In this Andean village and others like it, weaving is a social activity. The extended family gathers together outside, as young children and animals play, while women and older men work on the backstrap loom. It is the oldest form of loom that exists. Made of wood, animal bones and string, this vintage loom is rooted in traditions that we could feel. After we watched the weavers at work, we were invited to the afterschool program that the village children attend each day. This mixed-age academic enrichment program provides school supplies, homework help and encouragement. Julio, the dedicated teacher, puts his heart and soul into teaching the children life and academic skills. It was a true privilege to be let into their world. Experiential travel may be a buzzword, but authentic experiences that dive deep into the local culture can offer a rich and profound sense of place. Person-to-person interactions connect travelers to the local population and can have a deep, long-lasting effect. When you’re traveling with kids and teenagers, meaningful encounters with locals are golden opportunities to gain a firsthand global perspective that would be impossible to duplicate in a classroom. While we will never forget the majestic beauty of Peru and Machu Picchu, the people we met were equally unforgettable.